95 Stokes Croft Bristol BS1 3RD. If you need cargo faster than ocean freight, costing much less than air freight… then the new china rail freight service is the perfect option for you. Over the last few years, China Railway have been transporting freight and cargo via the famous Silk Road railway track, which links 12,000 kilometres of track via the Trans Siberian Railway. An exciting development has now taken place, with trains going from Yiwu to London (Barking in East London). This new service is for importers and exporters, and provides an opportunity to send and receive rail freight to and from China, which in turn allows for faster delivery at a lower cost. Brunel act as Customs Broker for first China to London Train! Brunel are very proud to have been appointed customs brokers for the very first China to London freight train service, and handling the import customs clearance and compliance for all 34 containers. The video below shows our group director, Mike White, being interviewed by ITV news and talking about the experience. There are two key China rail links/routes: The first goes due north from China and connects with the famous Russian Trans-Siberian, or heading west across Kazakhstan before feeding into the Trans-Siberian at Yekaterinburg, a key juncton for rail freight movements going in a westerly drection, and providing a key freight and project cargo transport link into Europe. 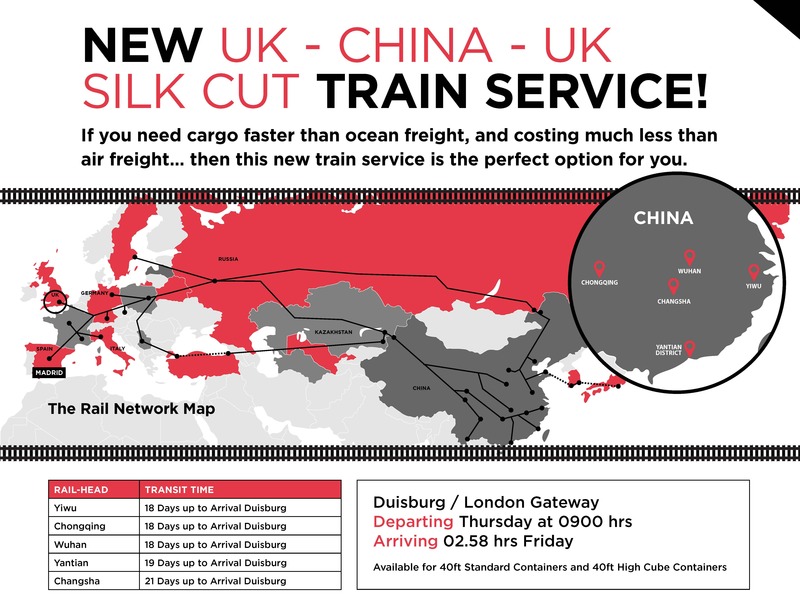 One of the things that is key here is the opportunity for companies like Brunel Shipping to take advantage of cross trade opportunities, and we are pleased to be able to offer competitive rates for this new China rail service. 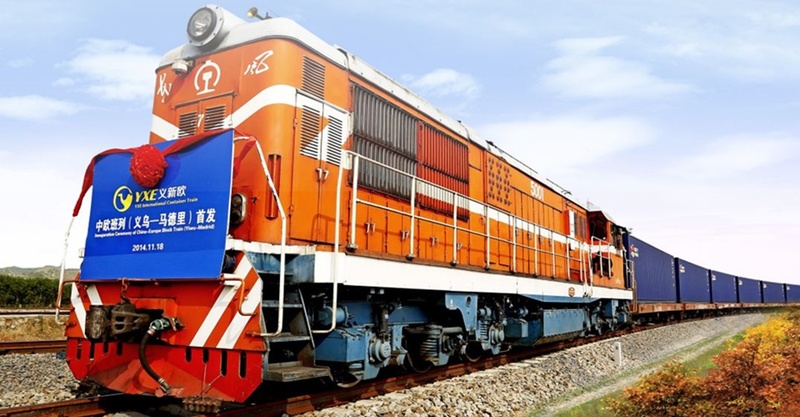 The cost of China rail freight transportation is potentially fifty per cent less than current air freight imports from China, and transit time is 45%-50% shorter than sea freight (saving of anywhere between 12-14 days). Both declaration and inspection can be completed more or less immediately, with your goods being released much quicker than expensive air or traditional sea freight. This customs service is available as a full 24 hour a day service which we manage through our team in London and our partners in mainland China. Brunel are very proud to have been appointed customs brokers for the very first China to London freight train service, and handled the import customs clearance and compliance for all 34 containers. The video below shows our group director, Mike White, being interviewed by ITV news and talking about the experience. If you would like to discuss your China rail freight logistics and shipping requirements, either call or email one of the team: Number +44 (0) 1268 243610 Email: info@brunelshipping.co.uk. Are you prepared for No Deal Brexit? Brunel Shipping Ltd. Wilson House, Bentalls, Basildon, Essex, SS14 3BX.